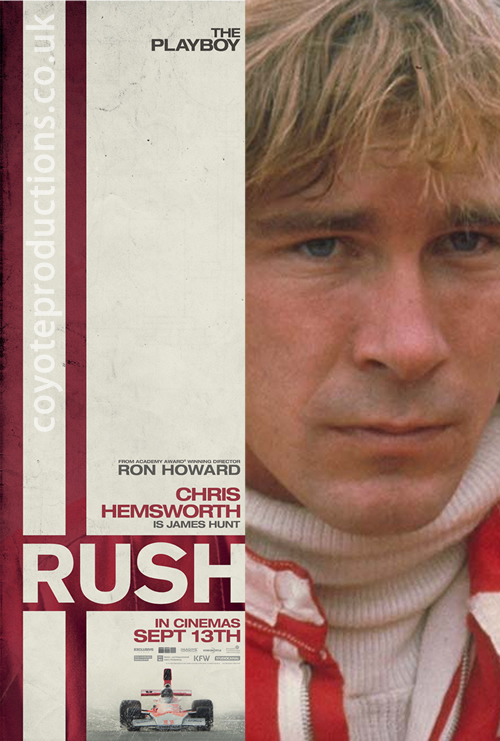 Earlier today I got sent over an email about Rush and the release of two new features about the film. That then got me thinking about how closely they got the main stars to who they are playing. Sometimes they just select people because they need a name and then throw some make-up on then and hope for the best. Other times they spend quite a while to try and get people who closely resemble the person they need. So with that in mind I kicked up Photoshop and played around with the two character posters that were released back in July. Then finding images of around the same period that the film is set. That was harder than I thought. Pictures of James are quite easy to find as he didn’t change that much in that era. Niki, on the other hand, was harder as he change a lot in the year that the film was set. 1976. The poster shows a Niki before almost being killed at that year’s German Grand Prix. 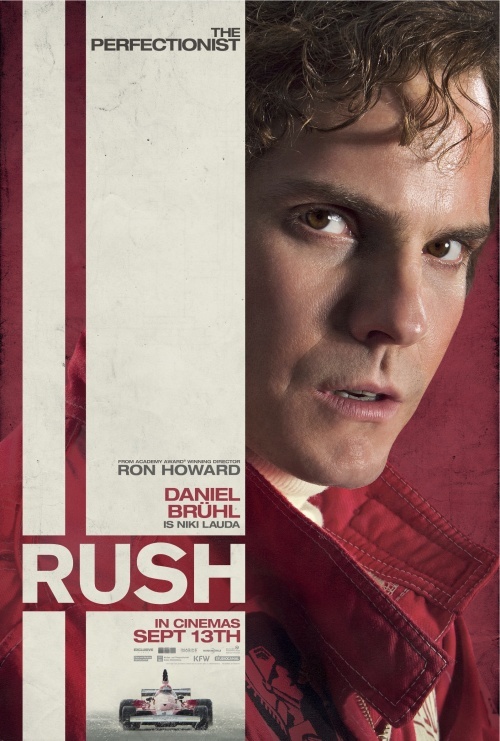 As you can see, they have got James a bit better than Niki with Chris Hemsworth but even so Daniel Brühl is not that bad. both of them seem to come across more as the people they play in the film as the below trailer shows. 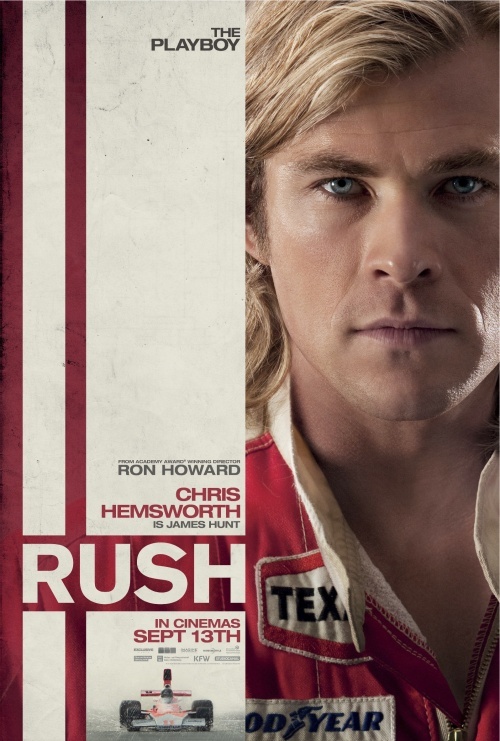 The film is a great re-creation of the era and the laissez-faire attitude to safety compared to that of today. On the other hand, with today’s reliance on computers to do all of their effects the film’s major crash sequence. 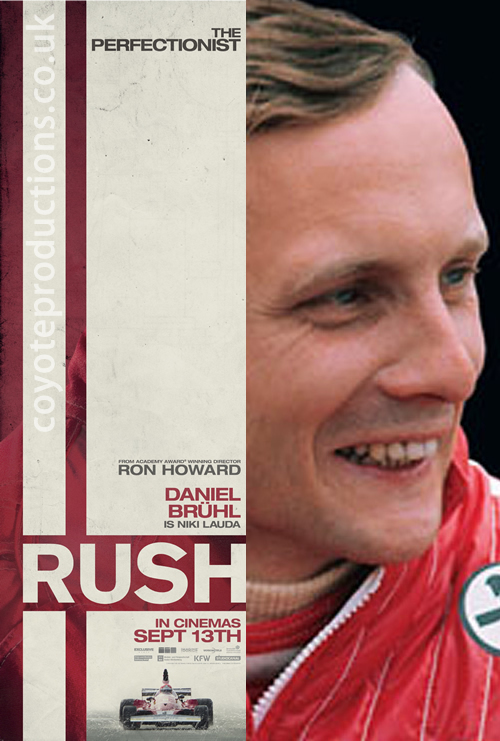 The one that almost killed Lauda comes across as a bit amateurish and painful to watch. That maybe just down to the effects in the trailer not being fully locked down – or at least I hope that’s the case. Also starring Olivia Wilde (TRON: Legacy) and Alexandra Maria Lara (The Reader), Rush is produced by Andrew Eaton (A Mighty Heart), Howard, Academy Award® winner Brian Grazer (Apollo 13, A Beautiful Mind), Eric Fellner (Senna, Tinker Tailor Soldier Spy), Morgan and Brian Oliver (Black Swan) and executive produced by Cross Creek Pictures, Exclusive Media, Todd Hallowell and Tim Bevan.